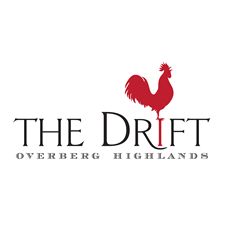 The Drift is the most southerly and easterly vineyard in the PIWOSA family, situated at around 500m above sea level it is also the highest. Remarkable too are the unique soils which ensure distinctive, elegant and delicious wine. Made in extremely small quantities these wines are as much collector’s pieces as they are bottles of joy. The energy of memory. Beginning with swirling dust around your head as you hand-plant dormant vines into the ancient, anticipating soil. The journey begins somewhere in our collective human ambition – it meanders through doubt, hesitates at the fear of failure, crests horizons of relief when things go right. The goal is unclear – not what business gurus recommend. But you’ve planted an improbable vineyard on a crazy, windswept mountainside because it felt necessary; the way it is necessary for a heart to beat faster when the head falls in love. The dream is a promise whispered quietly to oneself under an encouraging applause of stars in the middle of a wine-fuelled night. The wine is simply this.